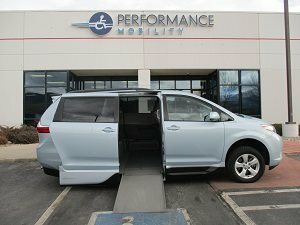 United Access near Security-Widefield, CO offers an extensive line of new and used wheelchair vans for sale from brands like BraunAbility, VMI, Mobility SVM and El Dorado. Wheelchair accessible vans are available in a number of body styles, including vans from Chrysler, Dodge, Honda and Toyota. In addition to our selection of wheelchair accessible vans near Security-Widefield, we offer a full range of handicap driving aids including hand controls and transfer seating, as well as wheelchair lifts. Search our inventory of wheelchair vans for sale near Security-Widefield, CO or contact a mobility specialist for information on handicap vehicles. United Access is committed to helping you find a new or used wheelchair van to fit your needs.